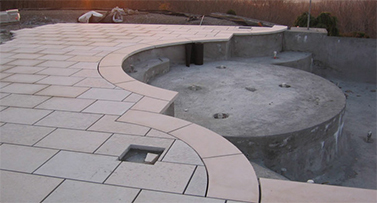 Sundays Off Pools Inc. offers professional concrete swimming pool installation services in the Minneapolis area. To learn more, contact us online or call us at 763-546-1651. There are so many factors to consider when buying a pool. You have to decide what size you would like to fit the space you have. You need to choose between in ground or above. Plus, you can choose between fiberglass or concrete. For many, concrete is the preferred choice, as it offers a great look, along with durability, cost effectiveness, and other great reasons. Here is a listing of some of those benefits. Concrete is a great choice for your pool construction because it can fit with any size space you have, and with any design. You can choose a traditional rectangular or kidney-shaped, but you can design unique shapes that will fit the aesthetic of your property and your own personal style. Even if you have the most awkward space imaginable for a pool, you can design one that will fit perfectly. Since the size, along with the design, is flexible, it can be designed to fit within your budgetary needs as well. Fiberglass pools tend to come in shells with standard sizes and shapes. It should be obvious that concrete is much stronger and more durable than fiberglass. 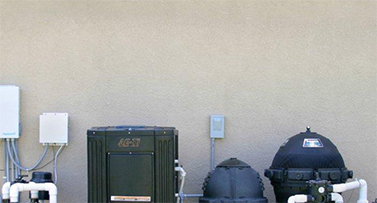 There’s no worry that your pool will be irreparably damaged by harsh weather or other factors. Fiberglass pools are very susceptible to cracking and ripping. With a concrete pool, even if one spot is damaged, an easy repair job can take care of the problem and have you swimming worry-free in no time. There’s no concern with concrete every losing its shape or structure, either. Many pool-owners want to have extras installed with their pools, such as diving boards. This simply is not possible with fiberglass pools. Not only can you have diving boards with your pool, but fountains, slides, and other design elements that will make your pool a perfect spot for summertime fun. It is true that in most cases, concrete pools are more expensive than their fiberglass counterparts. However, You can more than make up for that cost in other areas. For one, a pool will increase the value of your property. Secondly, a concrete pool can offer all the benefits listed above. Consider a high-quality concrete pool for your pool installation.